At 1 year of age, malnutrition, mange, skin infections, eye infections, ear infections Jeffrey was taken to a small shelter where his fear had him labeled as aggressive. Daphneyland swooped in. It's been rough but Jeffrey is halfway to surgery time! Now we need help raising funds for his surgeries to get him adoption ready! Home visits are a crucial part of our adoption process and we rely heavily on our volunteers to help us complete the visits. 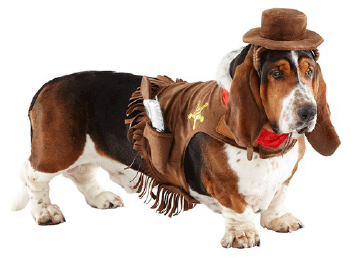 Basset Rescue Network, Inc. at Daphneyland updated their cover photo. It’s SPRING! Know what THAT means?? It’s…Wait for it…Time for the HOE DOWN!! There are a LOT of Basset Hounds. They are dirty. They need a bath. WE NEED HELP. Come be part of the fun! Daphneyland on the National Rescue Dog Show! If you found us through the Daytime Emmy Awards, welcome to DaphneyLand! One of the hounds you saw during the webcast would LOVE to be snoring on your couch right now! 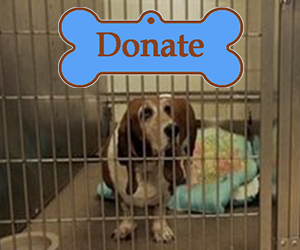 OR, you could make a donation and help save the lives of hundreds of these precious Basset Hounds. Scroll down and find out all about us! CLICK HERE for “Behind the Scenes” action! Many know that we LOVE Rita Earl Blackwell. Not only does she give freely of her time to photograph the hounds, she also has volunteered with Hilaroo and at our HoeDown. 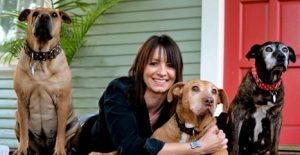 Scott Smith, over at ConsumersAdvocate.org, knows a good story when he sees one and he put together a fantastic piece on Rita and her rescue work. Check out Scott’s article HERE. We use Constant Contact to keep in touch with donors, volunteers, and anyone else who is interested in DaphneyLand. Click the button below to get our newsletter and special announcements. By the way – we hate spam too and promise NOT to sent you a crapload of e-mails or share your information with anyone else! 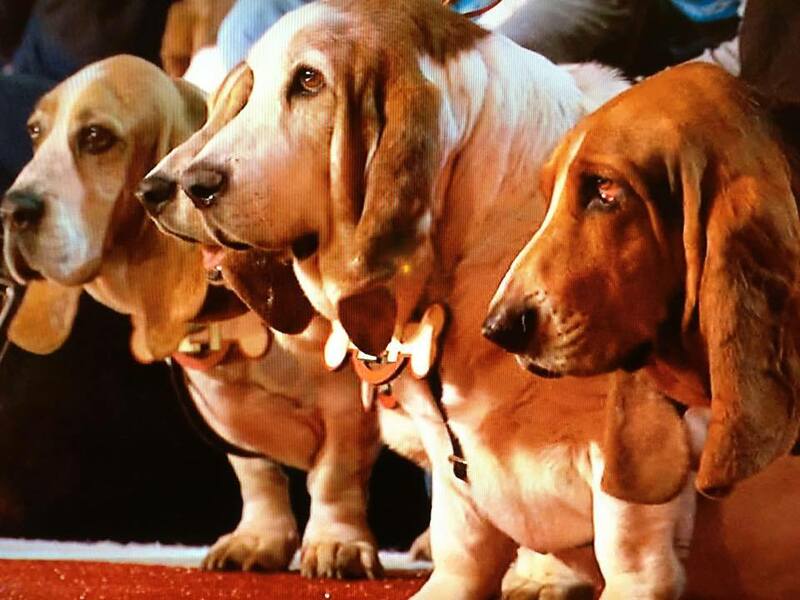 why they should adopt a Basset Hound. Shopping on Amazon? Click the Amazon logo above and log in to your account. 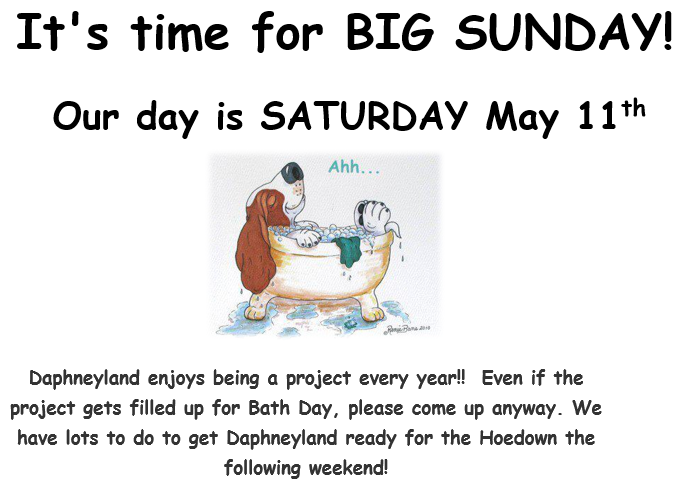 Purchases that you make will help support the Basset Hounds at DaphneyLand! 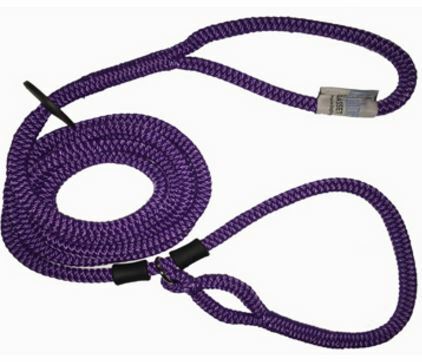 Support DaphneyLand with the purchase of a DaphneyLand SIGNATURE Harness Lead! Your donation goes straight to work, helping all the dogs at Daphneyland. Thank you for caring about the animals! We are faced with a hundred hungry animals every day - not to mention vet care, etc. DaphneyLand is a 501(c)3 and your donations are tax-deductible (Tax ID #20-3737011)! Start the adoption process here. We love and care about our animals so yes, the is a "process." We don't want our hounds to go from one bad situation to another, so we hope you understand. There is an application. There are vet checks and home visits. Please understand - we don't adopt to just anyone. We need to get to know you a little before we entrust you with something so precious. Find the perfect gift for the hound fancier. Or just pick out something for yourself! All proceeds raised from the sale of items in our store go to help the hounds at DaphneyLand. Clothing, computer accessories, stamps, and more, perfect for birthdays, holidays, or any day!